Already over 14m people live in local authorities which are adopting or have adopted this policy. Most importantly, through democratic debate those communities have decided that "20's Plenty Where People Live". And it is those same communities who have then changed their behaviour to drive slower in residential streets and where people walk and cycle. 20's Plenty for Us is a 'not for profit' organisation and now have over 250 local campaigns around the country and many of our most iconic cities in the UK have already adopted a 20mph limit for most of their streets. We quite simply campaign for 20mph to become the default speed limit on residential and urban streets. This can be done on most streets without the need for any physical calming and we accept that on some streets it may be appropriate to have a higher limit based on the road, vulnerable road users provision, etc. But any limit above 20mph should be a considered decision based on local circumstances. Our website can best be navigated using the buttons on the left. You will find most of the issues around 20mph limits covered in our "briefings" page. We hope the rest are self explanatory, but please have a good explore. But remember that we are available to answer any questions you have, so just go to our contacts page for details. If you would like to contact us to discuss 20mph limits then please make contact here. We would be pleased to help. Local authorities implementing 20 mph as the default speed limit for residential streets with populations. 20's Plenty for Us is a grass roots organisation that is changing our streets for the better. We have local campaigns around the country. If you would like to set one up in your community then we can help you get lower speeds where you live. You don't have to donate to become a campaigner or supporter, but if you would like to do so then this would be very gratefully received. 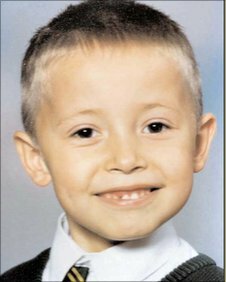 Tommy Kenny, aged 10, from Borehamwood was killed in 2007 while crossing the road. See the video directed by his friend Sidney Draper on his life and their campaign website for 20 mph speed limits on residential roads.